Just another reason why people will flock to this crossover. Despite the massive appeal of crossovers in the United States, Toyota's C-HR hasn't been a huge sales success. The C-HR has some funky looks, but struggles to back it up with lackluster power, a lack of AWD as an option, and no premium features such as leather seats, upgraded audio, or even Apple CarPlay and Android Auto. Though sales haven't been great, the C-HR is still a new model for Toyota and is starting to gain an identity. According to , Toyota has some changes for the 2019 model year that may help the C-HR sell better. For starters, Toyota will introduce a new base LE trim, with a starting price of $21,990 including a destination charge of $1,045. This represents a $1,505 decrease compared to last year's entry-level XLE trim, bringing the C-HR closer to the base price of the Honda HR-V LX trim. In order to get the price down on the LE trim, Toyota has had to sacrifice the 18-inch alloys from the XLE. 17-inch steel wheels now come as standard. The LE trim also loses the option for a white or black roof and the new Blue Flame body paint. Despite these cuts, all C-HR models include Toyota Safety Sense P with automatic emergency braking, lane departure warning, adaptive cruise control, and auto high beams. 2019 models will also gain Apple CarPlay, though Android Auto has yet to be announced. 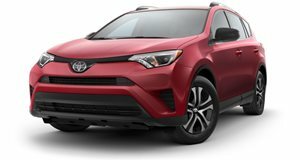 In addition to a cheaper C-HR at the low end, Toyota is introducing a more expensive model at the high end. The XLE trim will increase in price by $530 and will now start at $24,025. XLE trims now gain smart key, 18-inch wheels, lighted vanity mirrors, auto-folding mirrors, and puddle illumination. A luxury Limited trim will also be introduced, starting at $27,045. The top-trim C-HR will have a choice of black or brown leather seats, an improved infotainment system with built-in navigation, seat back pockets, and available rain-sensing wipers. We'll see if Toyota's changes help the C-HR sell in greater numbers.